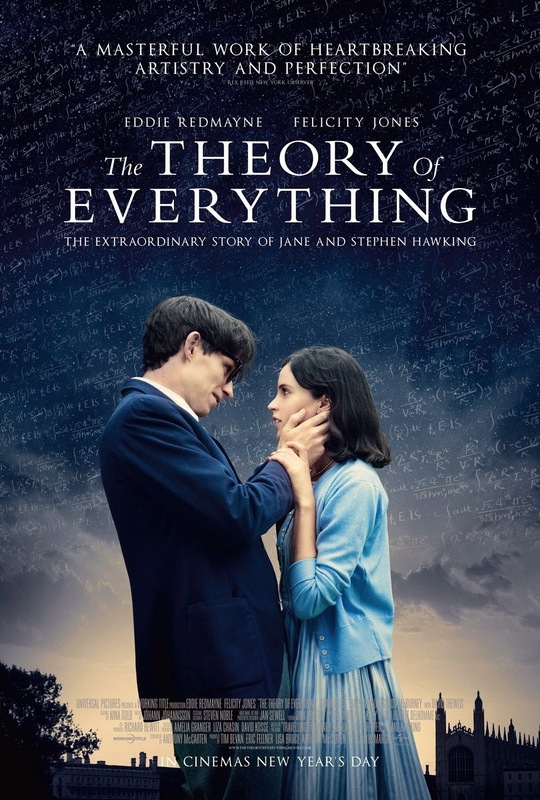 Juca's reviews: A brief opinion on the movie "The Theory of everything"
A brief opinion on the movie "The Theory of everything"
Well, this movie is the biography of Stephen Hawking's life, his contributions in the physics area and his humongous impact in the science field. Personally, I loved the movie because it taught me that is not a disease or an obstacle in your life that will stop you from doing was you want or incapacitate you to achieve your dreams. Firstly, it is just surprising what Stephen Hawking has survived and lived so far, and more than that, it is even more breathtaking how he has contributed to the physics area, the is such a genius. Secondly, this movie fascinated me because Eddie Redmayne (who starred as Stephen Hawking) did such a good work when it came to his posture showing us the development of Stephen's disease. It was such a beautiful movie that I had tears in my eyes from the beginning to the end of it. Another thing that I liked about this movie was that it is just not a drama, but also a romance with some comic moments that made me smile and laugh. It shows us that Stephen Hawking, despite his disease, could love and laugh and be happy with his family and friends while contributing to the world's knowledge. The amout of support he had was huge and the response on his book was even bigger! I recommend everyone to see this movie, specially if you would like to know more about this great man's life. If you just like dramas with some funny moments to release the tension, I hope you choose this one!